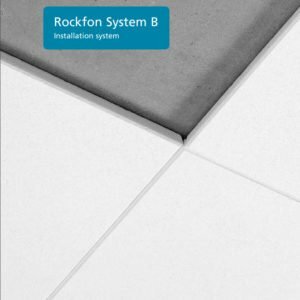 Rockfon Sonar 20mm B edge. Sonar B is the ideal ceiling tile for Restaurants, Classrooms, Libraries, this tile can be direct fixed to plasterboard ceilings. A comprehensive range of aesthetically pleasing durable tiles with a micro-textured surface, strong edges and excellent acoustics, available in a wide variety of sizes and edges which meet the highest fire safety and sound absorption regulations. TROPIC tiles has the smooth, white surface, the back fleece from the glass fiber and painted side edges. Tropic combines aesthetic surface with very good acoustics, fire safety and humidity resistance properties. 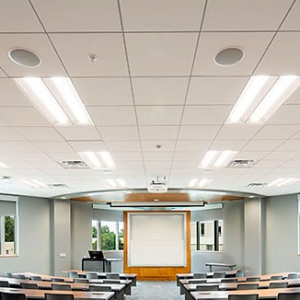 The different module sizes and edge details in the Tropic assortment provide opportunities for concealed and semi-concealed ceiling expressions as well as standard visible grid.